Your RV is an extension of your lifestyle & you want it to stay in good shape! Simple yearly Maintenance can put years of fun and save you money on expensive repairs down the road. Don't let an unexpected problem ruin your trip or vacation. Call & Schedule a routine check today! 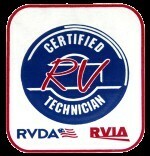 Feel confident knowing that the technician servicing your RV is RVIA certified. Regular maintenance for your RV keeps it in top working order. 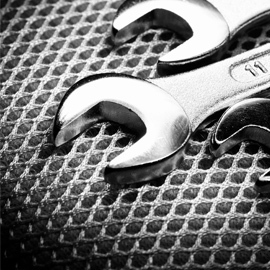 ​In order to keep your RV running at top performance, you need to have it regularly maintained. 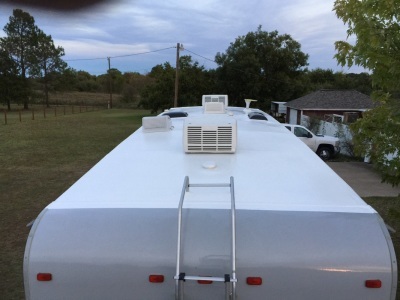 Having Voyager RV Repair technicians keep an eye on your RV also ensures that any issues are spotted early before they become expensive repairs. Call today to schedule your RV maintenance! fix the problem to get you back on the road and enjoying your vacation. There’s nothing worse than warm air coming out of your A/C vents on a hot day. It could need a good cleaning, or a new part. REMEMBER: RV A/Cs cannot be serviced. It is a closed system and is not re-chargeable. We don’t want you to have to worry about that so grab a cold lemonade, give us a call and let our techs come out to diagnose and repair your a/c today! Okay maybe we spoke to soon about warm air on a hot day, because cold air on a freezing one is just as bad! Our techs specialize in furnace diagnose & repair so you can get back to maximum cuddle time. With a quick Check & yearly maintenance can save you time and money. our appliances decide when they want to stop working. Its usually at the most inconvenient time, but when is it really convenient? We can help with that! If your fridge, generator, microwave or other major appliance decides to take a day off, be sure to call for your appointment and we’ll get it back to work! Your converter is not only designed to charge your batteries, it is the main supply of power to your interior outlets. Something as simple as a loss of charge can keep you from enjoying your coach. Let us help you stay “plugged” in….sorry, we couldn’t resist. Have you ever been a victim of a toilet flush while taking a hot shower? That’s usually the workings of a culprit with an ulterior motive, but what if it was just your heating element not working? We can help save the blame for the right offender by coming out to check. Call for a tech appointment today. Winterizing is essential to keeping your coach from freezing up. This simple process can save you hundreds of dollars in repairs down the line. We can come out and do it for you.